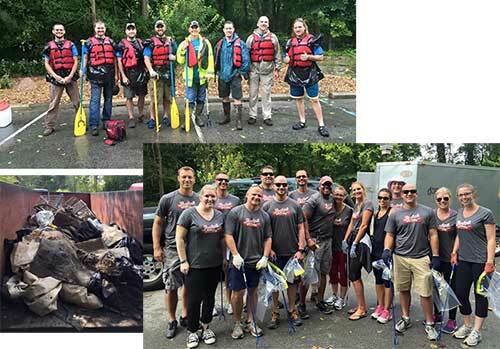 It was a rainy Friday but stalwart volunteers from Duke Energy (top left) and Leinenkugel Brewing (bottom right) pitched in and cleared half a dumpster of trash from the banks of White River at the Cornell Avenue launch. Good job, folks! 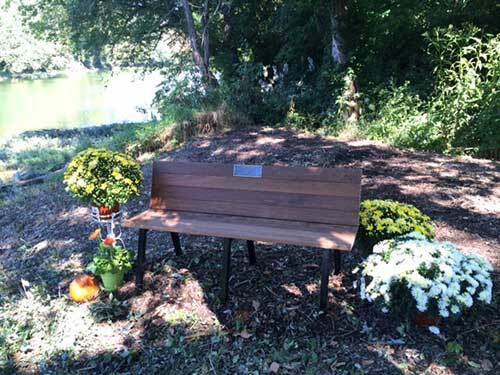 A memorial bench with a shaded view of the White River was dedicated and installed yesterday with contributions from the Scott Tegarden Memorial Fund at The Riviera Club. 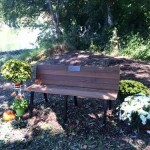 A second bench will be installed in the coming week to a high bank overlooking the Indianapolis Arts Center launch and the Monon Trail. We encourage you to sit a moment, without technology in hand, and reflect on the beauty you see. The Yorktown town council has ruled that the Town of Yorktown will not participate in the creation of the Mounds Lake Commission. 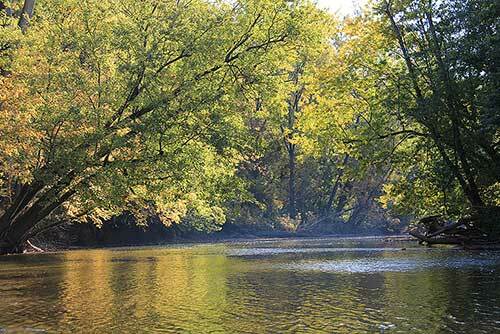 Is this misguided notion of damming a free-flowing river dead? 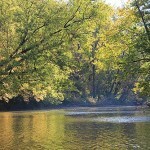 Friends of the White River hope so.